What is your go-to recipe when you don’t have much food in the house or money to spend on groceries? This question was recently posed in a group that I’m a part of on Facebook, and since many people’s budgets are tight around the holidays with all the expenses that go into buying gifts and traveling, I thought it to be timely. Interestingly enough, many mentioned pasta… with meat sauce, marinara sauce, or just tossed with a little olive oil and garlic. I never thought of this as a budget meal, but now that I think about it… it is. Doh. A box of pasta costs under $1, a jar of spaghetti sauce, $2.50, a pound of ground beef $3 or maybe a little less, and add a green veggie for a few cents more per serving. I can feed my family of four for $5-6, and maybe even have a little leftover! The fact that I’m done in less than 30 minutes? Priceless! One of my faves: TORTILLA SOUP! I don’t have a precise recipe; I just kind of take a look in the fridge and toss stuff in! 1. In a large pot, I saute the onion in a little vegetable oil. 2. Add the garlic and the bell pepper until it all softens. 3. Add the chicken stock and tomatoes; bring to a boil. I often use leftover pasta sauce in soups. Lots of flavor! a can of black beans, and frozen vegetables, seasoning to taste. 5. Simmer for about 20 minutes or so. 6. Cut the tortillas into strips, and put a few at the bottom of each bowl. 7. Ladle the soup into the bowls, and squeeze a tiny bit of lime on top. 8. Garnish with a little shredded cheese and cilantro. Leave a comment below for your chance to win a $150 American Express gift card! Entry period ends December 28th, 2011. US entries only, one person per household. Leave a separate comment per entry and a valid email address. Winner, chosen at random, has 3 days to claim their prize. 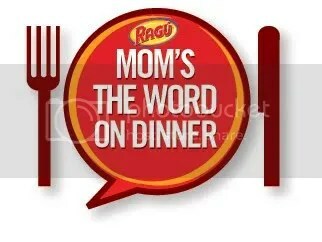 Go join the conversation at Ragu’s Facebook page! Lasagna is our favorite budget friendly meal. I like The Domestic Buzz on FB with my username Mary Happymommy. MMM- I LOVE tortilla soup. Unfortunately, my husband hates soup! lol. My favorite budget meal is spaghetti. mac and cheese with chicken nuggets! I like to make quiche! Follow Ragú on Twitter @RaguSauce. Beans are a very inexpensive way to add protein to a meal. How about a taco salad with corn, Diced tomatoes, canned black beans, crumbled tortilla chips, grated cheddar cheese topped with your favorite salsa as a dressing? How about vegetarian chili with pinto beans? Turn it into “chili Mac” by serving over pasta noodles and topped with grated cheddar cheese and sour cream. i love mac and cheese! :) yum! Gosh that looks delicious! I’d love to try that recipe. When I’m in a pinch for time and money, I usually make Spaghetti or Ziti! We love Ragu here. Pasta is my go to budget meal. I also like beans, ham, and cornbread. Mac & Cheese,Spam ,Onion & Frozen Peas. Or Speghetti & Ground Beef w/Onion, Mushrooms & Peppers w/Ragu Sauce. My favorite budget-friendly meal is spaghetti. My budget friendly meal simply is pasta (rotini) which my kids call “tini” and Ragu sauce-super cheap and super good! Spanish rice, pasta with vegetables are pretty cheap to make. We are big fans of baked potato soup…mash up baked potatoes, add milk and broth to get desired soup consistency, then bring to a bare simmer. We stir in a bit of minced garlic plus salt and pepper, then serve with assorted toppings like you would for a baked potato: shredded cheese, bacon bits, chives, chopped broccoli…it’s cheap, easy to make, and very warm and filling this time of year! My favorite budget friendly meal is a roast chicken dinner. I like to buy them when they’re on sale for about $5 each, throw in some carrots and potatoes (for pennies!) and have a delicious dinner. Plus, we always have enough leftovers for lunch and dinner the next day! Spaghetti is my go-to for a quick, budget friendly meal! My budget friendly meals are omelets. You can just add what ever you have on hand. My budget meal is spagetti and jarred sauce with homemade meatballs. I use the recipe from my Betty Crocker cookbook, but I use 2 lbs of ground turkey and 1 lb of ground pork, then I triple the rest of the recipe. (Bread crumbs, onion, milk, eggs, etc.) Delicious, and it makes a TON of meatballs. I freeze the leftovers. I follow Ragu on Twitter (@jenalber). Our favorite budget friendly meal is pasta bake. My favorite go-to meal is goulash and baking powder biscuits. 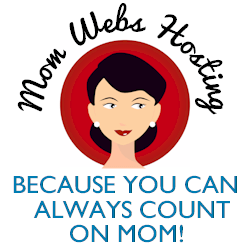 Marj McClendon´s last blog post ..Are you all ready? My favorite budget-friendly meal, and I use the term meal loosely, is pancakes, bacon, and fruit. We eat that for dinner because it is a quick, low-cost meal that we can all agree on. We rarely eat it for breakfast, almost always dinner! Strange, I know. I love tacos! Thanks for the chance to win! Mine would be macaroni and cheese. Already an email subscriber of yours. I Like The Domestic Buzz on Facebook. I Like Ragú on Facebook. One of my favorite budget friendly meals is grilled cheese sandwiches and soup. Yum. We love Baked Ziti. Thanks for the chance to win! My favorite budget friendly meal is grilled cheese and veggie soup. Eggs & toast or canned soup. •Like The Domestic Buzz on Facebook. We are HUGE Ragu fans and this gift card would be wonderful to win! I’M ALL FOR TUNA CASSEROLE! EASY, SIMPLE, PRICE-FRIENDLY! My favorite budget friendly meal is turkey bacon, scrambled eggs, and french toast. I make chicken and rice dishes when I want to spread my budget. It varies from meal to meal because I might have different ingredients in my pantry, but rice really helps to stretch a meal! i love to make mini pies out of our leftovers.